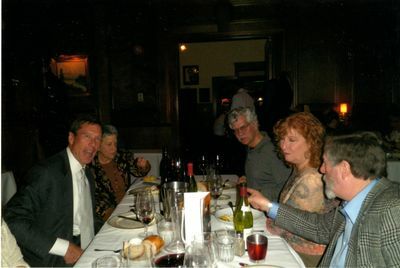 Bill Stoller and others are pictured at a charity dinner at Jake's Crawfish in Portland, Oregon. Stoller is co-owner of Chehalem Wines in Newberg, Oregon and owner of Stoller Family Estate in Dayton, Oregon. Unknown, "Bill Stoller" (2012). Doc (James) Wilson Historical Photos. Image. Submission 16.